What the heck? Wrong? What’s wrong? Nothing that a hard, cold boot in my backside wouldn’t fix. Look, I’ve been writing off and on since I was a kid. Started to be a serious thing for me when I was in my teens. Then I took almost twenty years off–hardly wrote much at all by way of fiction. Slowly over the last dozen years or more I have again increased my volume of words written. Shameful as this record is, it’s not that unusual. Unless a wannabe writer is able to arrange their determination early, lots of times making a living, having relationships, and just living in general can get in the way. It happens. For about five years now, I’ve been working from home, taking care of my children, and running a small business offering editing and other services (www.Word-Edge.com). Last year I started MP because I thought it would meet a need I had to pay forward all I’d learned about writing and not writing and allow me to meet and showcase other writers and hopefully a few artists. And in a place that would appeal to women like me who were exploring a new phase in their lives. At the beginning of my work-at-home journey, nearly five long years ago, I wrote ferociously. A lot of it still was riddled with crappy characters and cliches, but some of it was kinda good too. (Spoiler: That’s the way it is for most writers, even the pros. It’s just the pros ratio of good to crap is much better.) 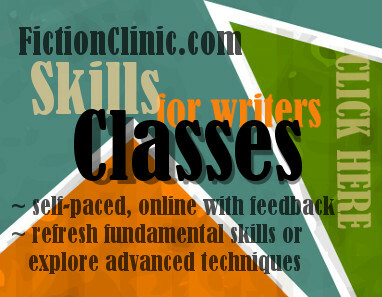 I kept at it, joined a writer’s web site or two, got accepted into an on-line critique group. Learned a whole bunch…and got published! Even met the glory of winning real cash money in two Writer’s Digest comps. Today I had an email from a dear friend who, it seems, is also whipping herself for not writing enough. She’s given herself what I’d like to call a New Year’s Ultimatum: Write every day. She calls it a resolution, but I say if you’re a serious writer, it ought to be an ultimatum. If you’re not writing, you’re not a writer. So, I’m telling myself, Margaret (the smart friend with the resolution), and all of you wannabes to just write, dammit! Write junky romance scenes, cruddy poems, practice typing, DO SOMETHING! Journaling, fiction, blogging, whatever–write every damn stinking solitary horrible blessed wonderful crappy depressing joyful day. Or else. Now, I want you all to email or message me tomorrow and ask how I’m doing–because if I’m replying to you that means I’m writing. And who knows, maybe those little replies will lead to something bigger. After all, replying to Margaret today got me to write this! This entry was posted in dawn's blog. And I like the ultimatum idea, rather than a resolution. I’ve never been overly fond of resolutions anyway. So, keep on keeping on!!!! Wow. This is an inspiring post, Dawn (and comment, Margaret). I also, after many years keeping a daily journal, but confining most of my writing to work-related tasks and letters, realized I wanted be a poet in my 6th decade…I decided I would write a piece each morning. It is so nice to read your blog, enjoy the confirmation that I’m doing the right thing. Receive MP news and information. Get contest notifications. This is a double opt-in subscription process. Be sure to check your SPAM folder if you do not find your confirmation email in your in-box. We promise not to bombard you with lots of emails. And you can unsubscribe at any time. All original materials, stories, poems, and photographs are copyright Menopause Press or the authors/creators listed with the individual works, unless otherwise noted. All rights reserved. Your gift will help us grow and continue to bring you great content.